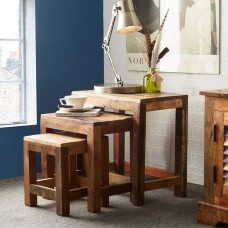 This unique industrial furniture range has been hand constructed by skilled craftsmen in India from antique reclaimed timbers from old houses and boats. 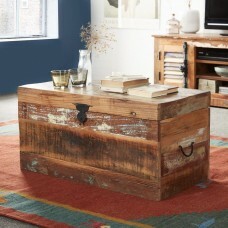 It offers a new dimension to furniture making, being made from 100% recycled timbers, iron and steel. The range is very environmentally friendly, stylish and versatile. Rectangular solid timber table with steel legs. Hand-built by sk.. 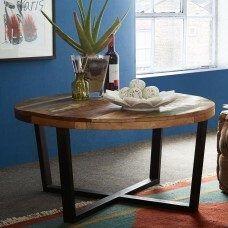 Round wood top table with steel legs. 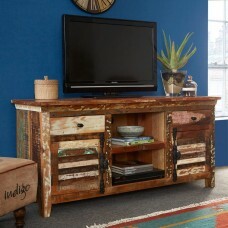 Hand-built by skilled craf..
TV media cabinet with two drawers, two shelves and two doors. Ha.. 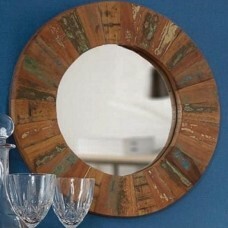 Round mirror with thick timber frame. 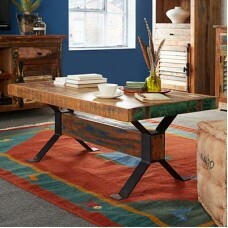 Hand-built by skilled craf..
Nest of three occasional tables. 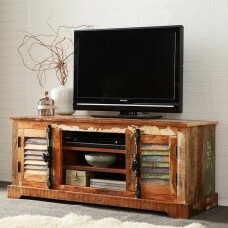 Hand-built by skilled craftsmen..
TV media cabinet with two doors and three shelves. 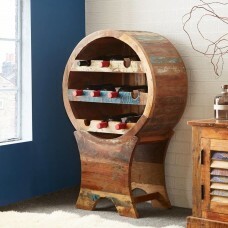 Hand-built by..
Large wine display rack for ten bottles. Hand-built by skilled c.. 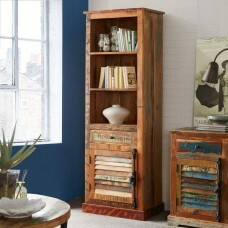 Tall bookcase with three shelves, a drawer and a cupboard. 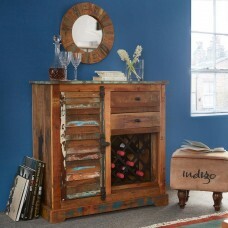 Hand-..
Sideboard and combined wine rack with a cupboard and drawer. 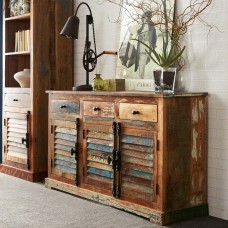 Han..
Large sideboard with three drawers and three doors. Hand-built b..
Lidded wooden coffee trunk box. Hand-built by skilled craftsmen ..